Day 12 of partypoker POWERFEST saw the $5,100 Championship Super High Roller NLHE PKO event take place as well as the crowning of 11 more event champions, including Chris Moorman, just two days after he picked up a silver medal. Event #75 Super High Roller: $5,100 Championship NLHE PKO saw 198 entrants come together to create a prize pool worth $1,009,800, with a six-figure sum up top for the winner. When the action got down to three-handed play, ‘dafuqisdis‘ took the bronze medal for $52,222 + $19,662, which left ‘barrm111‘ and ‘SexyFunTimes‘ left to battle for the $100,930 top prize, mega-money bounties, and the POWERFEST title. Both players ultimately walked away with six-figure scores after ‘barrm111’ became the final player to exit for $73,260 + $34,368, and ‘SexyFunTimes’ was crownded victor for a massive $100,930 + $136,418 (in bounties) first-place prize. 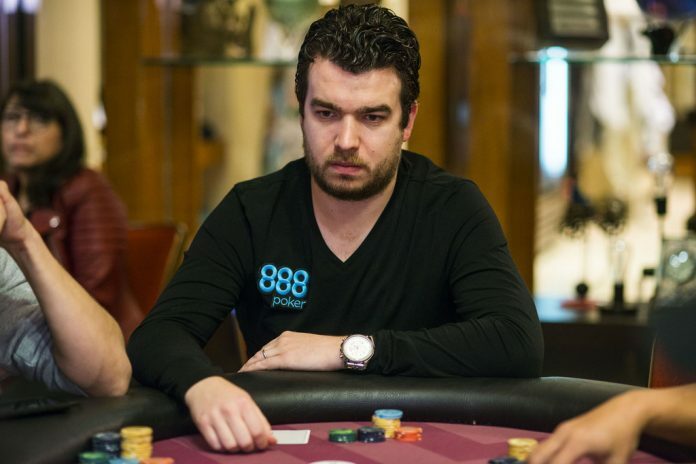 PocketFives all-time money-list leader Chris Moorman overcame the disappointment of falling at the final hurdle in Event #64 High Roller: $1,050 No Limit Hold’em just two days ago to pick up the gold medal in Event #76 High: $109 NLHE PKO for a score worth over $22,000. Moorman’s second-place finish in Event #64 on Tuesday bagged the Brit an impressive $68,038 but also meant he narrowly missed out on the title. However, this time around Moorman made no mistake and defeated fellow former PocketFives #1-ranked player Caio Pessagno heads-up after a money-deal was agreed. Pessagno walked away with $13,595 for his part of the deal as well as $8,180 in bounties earnt, and Moorman banked $16,000 + $6,193 in bounties to go with the title. partypoker ambassador Bertrand ‘ElkY’ Grospellier just missed out on a POWERFEST title after he took second place in Event #77 High Roller: $1,050 NLHE Mix-Max. ‘PaquesigasCerdo‘ took third place in the 489 player field for $51,750 before the heads-up battle between Grospellier and ‘MoNddLeR‘ got underway. As well as the title, there was an extra $24,000 to play for, and with no deal agreed it was winner take all. On this occasion, Grospellier was unable to find a win and departed with the silver medal for $72,000, as ‘MoNddLeR’ took the title alongside $96,997. ‘SchelampigaUhu‘ took down Event #74 High: $215 No Limit Hold’em 6-Max following a heads-up battle with former PocketFives #2-ranked Conor ‘ADRIEN_BRODY’ Beresford. A $129,600 prize pool was created after 648 players took part with ‘Ignent’ banking $12,665 in third-place before Beresford was eliminated by ‘SchelampigaUhu’ and claimed $16,848 in second place, which left the latter to pick up the win and $22,032.